As many of you know, I’ve been a P2P investor for almost two years. For those needing to catch up, here’s my last P2P results update. I had weathered the Lending Club scandal of firing its CEO and thought all was well. I was pulling money out to get me down to the $50k mark or so, but I was planning in sticking with them after that. Thanks for being a part of Lending Club. As part of our ongoing commitment to your financial security, we’re taking steps to strengthen the security of your account. We continuously look to enhance our customer verification processes and started asking some investors to submit documents that confirm their identity and current residence. To increase the safety of existing investor accounts like yours, we need you to submit a copy of a valid government-issued photo ID by May 31st in order to continue investing on the Lending Club platform. Doing so helps us safeguard your account and ensure that transactions are authorized by you. Sending the document requested should take only a few minutes of your time. To quickly and securely upload your document, click here to access our investor document center. Once we review your document, we’ll email a confirmation to you within one business day. We’ll get in touch with you if we have any more questions or need additional information. It’s important that you complete this by May 31st so you can continue to invest with us. If you have any questions, please feel free to contact us at investor@lendingclub.com or (844) 409-0619. This seemed a bit fishy to me. Second, it was late May and had this “act now” sort of messaging that phishing scams use a lot. Third, the email address they listed was investor@lendingclub.com while on their site it was investing@lendingclub.com. Not a huge difference but it just seemed off. I’m suspicious that way. Besides, I’m not a big fan of providing my personal information to anyone when it’s not needed. Let’s face it, companies get hacked. Even companies who people say “will never get hacked” (like banks) get hacked. The less they have of my personal information when they do get hacked, the better. I received an email that was supposedly from you saying I needed to provide you with a government issued ID. I want to know if this was actually from you or if it was a phishing scam. If from you, it said I would not be able to invest with you if I did not provide it. I do not want to provide it, so please let me know my options for de-investing with you. I don’t provide ID to any other investment service (Vanguard, Fidelity, Prosper, etc.) and I’m skeptical that 1) you really need it and 2) you could keep it safe from a hack attack. Please respond to this email address. Thanks for contacting us and we can assure you that this is not a phishing attempt. We take your security seriously. As part of our ongoing commitment to your financial security, we’re taking steps to increase the safety of your account. Please note, if we do not receive the requested document(s) required to verify your information by May 31, 2017, your account will be restricted. Account owners with restricted accounts cannot participate on the LendingClub platform, which includes adding funds, purchasing Notes, buying or selling Notes on Folio, and withdrawing funds. You will continue to receive payments to your account from your outstanding Notes; to the extent borrower payments are received. If you would prefer to close your account, you may be able to liquidate your portfolio prior to maturity by listing your Notes for sale on the trading platform operated by Folio Investing. Please note that liquidity is not guaranteed and if you haven’t already done so, you may find it helpful to read more about the trading platform on our website by clicking here. Once your account is liquidated, please reach out to us to request a close account form. If you have any questions, you can reach us at (888) 596-3159. More likely some exec decided that they could use the info in some way and thus they decided to collect it. If it was required by law I’m sure they would have told me that. I am not happy with these options. I’m ok with no additional investment, but I would prefer to withdraw money as loans are paid, not sell them at cut-rate prices just to clear out my account. This is what I’d like to do, so please send my request to a higher level for approval. This has absolutely nothing to do with my “financial security” (how could it?) and everything to do with you all requesting sensitive information from me that is not required subject to being lost or stolen. I ask that you reconsider and give me a waiver. Thank you for your email and sorry for the delayed response. Your account will be eligible for withdrawals after May 31st. However, we are unable to waive the ID requirement within your account. If we do not receive an ID by May 31st, you will be unable to invest in new Notes through your account. We hope this is helpful. Please feel free to contact us with any additional questions. Thank you for your email and you are correct. So now I’m withdrawing money as the loans come due and I’ll draw it down to nothing over time. At the rate it’s going it could take me well over a year. Anyway, I’m done with Lending Club. It’s not a big loss as their returns were very low for me (3% or so) and I’m not sure they will come back up. Prosper’s are at 7%, so I’m good with them. Just wanted to give you all the complete story as well as a head’s up. Update: In my 2017 financial update, I noted that I’m still liquidating (Prosper too). I am done with LC also… My portfolio was small in comparison but with the loans going in an out of grace periods, some even 120 days late and returns that are half of the stated low part of the range I started selling some on the folio listings. I have 3 loans charged off so a $75 hit. My goal is to break even and realize I do not have the stomach for this type of investment. Interesting. I am an LC investor (much smaller balance), and I did not receive the same request for additional identification. I guess that they could restrict you from investing on their platform, for whatever arbitrary reason they want, but I cannot believe that they could legally restrict you from withdrawing money from your account. FWIW, I stopped making new investments about a year ago and am drawing down my account over time. It should take a couple years to do so. I thought it was a lot of hassle for returns much below what I expected (my return rate is under 5% and seems to be decaying over time). I’m glad you at least had positive results with them. I lost money and have been pulling money out over the last few years as the notes mature. It seems like a lot of financial bloggers are less and less happy with LC. It seems like a great investment on paper. The company seems to be doing more and more things to upset people though. They haven’t emailed me for any photo ID either but I have less than $100 in that account by now. That is a bit troubling! I have never gotten into P2P lending but would have been just as annoyed as you about this and likely shut it down. I’d save the role of lending money to bankers. Thanks for sharing! I’ve considered jumping into LC. It’s good to hear about personal experiences! Sounds like that letter was a blessing in disguise. Thanks for the heads up! Wow that’s really weird. 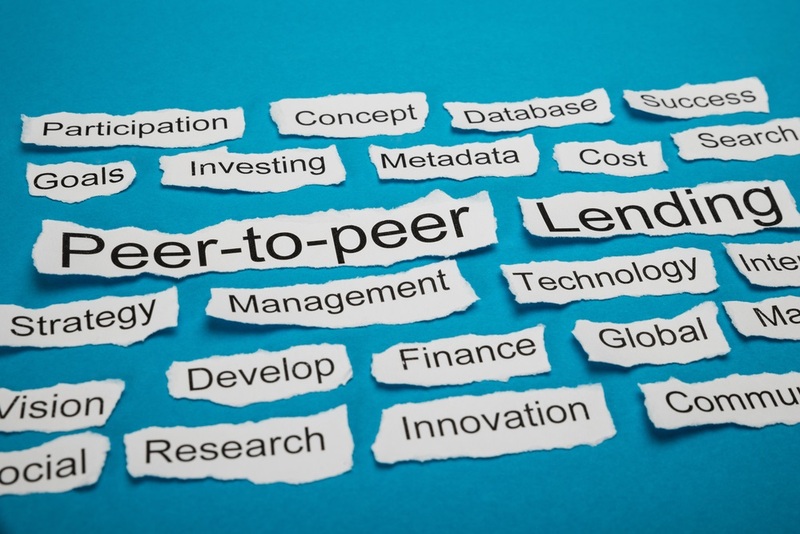 I really like the concept of P2P lending but I’m glad I never got into that. Seems like much more work than to just invest in index funds. I wonder if the request is based on balance, or activity. I only have around $500 in LC and in reality, it’s been an auto-investing, almost forgotten savings account (~3.5% return). I haven’t received any such request. Every so often, I get this email about an auto-invest order (normally in the amount of $25). I’ve debated whether I should pull my money out or just let it ride. But this post has made me decide to go ahead and stop auto investing and withdraw as notes mature. Since the return has never really gotten above 4%, I might as well put that money to some better use somewhere else. I’m thinking they saw me taking out money and wanted to put a stop to it/slow it down for some reason. But maybe it’s something else. I decided to look into prosper as well since I hadn’t before. I discovered that Pennsylvania is doesn’t allow P2P loans, and therefore Prosper is not available. I then discovered that the same restriction applies to Lending Club, but I guess it might not have when I signed up in 2009. Technically, I should be allowed to do trading on LC, but I’ve only ever done the straight investing bit. I don’t invest with LC and now I’m glad. Your experience is a new reason I don’t. But I’ve also read lots of other posts about people leaving LC because of much lower returns than expected. I’ve always been nervous about LC and Prosper because they approve loan applications with no skin in the game – they provide no funds themselves. My results with lending tree have been about 3% as well. I also invest with Upstart and the returns have been much better. I have only had three loans out of 100 get charged off and the return has been about 7%. The automatic investment forces you to invest across all classes of loans but you can choose between 3 and/or 5 year loans. First of all, I’m not taking out loans, I’m lending. Second, I gave them the chance to explain a good reason why they needed this information and yet they couldn’t. Right – I understand that. My point was only that if they are enforcing the same rules for borrowers it might help to reduce fraudulent borrowers in the future (and thus potentially reduce default rates). I am not challenging your reasons for leaving the service based on the low returns and the way you were treated, but wanted to offer a possible upside for their action as well. I sure hope they were and are doing a thorough credit review prior to extending any credit. Any borrower will surely need to submit much more documentation than a lender. What is odd is that they are not asking all lenders for this information. I never recieved such a letter. Maybe it’s because I’m withdrawing money and they want to dissuade that. I would guess they have a government agency asking for the info and restricting what they can say about it. Investigating money laundering or something similar. Just a guess. what’s your thoughts in crowdfunding (like realtyshare)? I’m kind of waiting to see how they sort out before I get involved. I have 3 accounts with LC. One a cash account, one my Roth IRA and my wife’s Roth IRA in order of age of the accounts. My cash account return has fallen to below 6%, my Roth below 5% and my wife’s Roth barely 3%. In the last year or so LC has given out loans to just about anyone who walks up with their hand out in my opinion. This was in order to enhance their market share at the expense of investors. (Again, my opinion). Defaults are terrible. None of my accounts have shown an increase in 2017 at all. Don’t know how I’m suppose to withdraw earned interest every month to supplement my income when there’s no interest to withdraw. I am in the process of liquidating my LC account and will close it ASAP. Glad I didn’t commit the major amount of dollars I had planned on or I’d be working well into my 70’s. Why would they need an ID? That’s ridiculous. I’d do the same if I’m an investor. I have some investment at Prosper, but I’m drawing down there too. I have been getting about 7%. However, I think real estate crowfunding is the way to go now. We’ll see if it works out. I’d totally stay away from these investing schemes, too much default risk for my liking…..
One could easily be left holding the bag IMHO…. It’s probably an anti-money laundering (AML) regulatory thing. Banks have been going through it ever since Dodd-Frank. We had to remediate every single one of our customers, took the bank I work for (a decent sized regional bank) over 5 years to complete. The regulators are probably just now getting to the FinTech space. Can I ask why you didn’t want to provide the info? I’m assuming they already have your address on file, so they weren’t really getting new information that could be hacked. Just verifying that you are who you say you are. I thought the same thing, but gave them the chance to say that — and they never did. They would be getting my driver’s license number, which would be something new. Also, why do they need to verify that I am who I say I am? I’m NOT borrowing, I’m lending. And if they had a really good reason (like being required by law) why didn’t they just say so? Most companies don’t want to come out and say “We don’t really want to do this, but the government is making us.” So they say that it’s in the name of “cybersecurity” or whatever buzzword that marketing says is best. The reason the government wants them to do it is because if you can’t provide this info, that’s a red flag that you might be using ill-gotten gains to fund your account. It’s basically the government using the FSI’s to do their job for them. It’s because of an anti-terrorism/anti-laundering law. Even if you are lending, it could be a way to launder money and like Josh said, the feds are probably just now getting to the online p2p platforms. I did a small lending club experiment with less than $4,000 and did one of their recommended portfolios except I restricted some of the uses of the funds (thinking that would perhaps make an already very risky type of lending less risky). My returns have been terrible and the default rate is much higher than the so-called “data” showed. Although it’s a bit more complex, for peer to peer lending, I use Peer Street since the assets are backed by collateral and after 21 months, I’m still averaging about 8% on returns. I’m curious to know why you think Prosper is any better than Lending Club. I don’t have an opinion either way. Thank you in advance! I’m not sure. Maybe Prosper is vetting their applications a bit better? You will never get a direct answer to your question from LC, but I hope you find this useful and can see now why they won’t provide the answer in plain language. Continued success to you! I still don’t understand why they need it now. 1. They determined who I was when I opened the account. Why do they need more info? 2. Yes, I know they share info. Are you saying that this is this why they won’t provide an answer in plain language — that they want more info to share about me? 2. Yes, that is what I’m saying. You won’t get satisfaction from LC; if they told you what I just did, you would do exactly what you’ve done. I think you do understand, very well, and are correct to take the action you did. I’m wondering if they changed the “information they collect” policy between the time I started the account and now. Also interesting how you can limit some information you have to give them and what they share. I guess that’s what they allowed me to do — limit what I shared. I’m sure the answer is ‘yes’, my bank(s) change it every year (as they should) and are required to send a notice (indecipherable to regular busy people, by intention). Had a last-minute thought…LC went public 2.5 years ago at $23/share, and is now around $5/share. It has never made money, and never will. I’ve never understood the P2P model, why would any investor lend money to somebody who’s best option for borrowing is LC? Let’s face it, the borrowers aren’t even people you would want to have lunch with. Anyway, maybe the Board is trying to shine it up for sale, and needs a real metric (substantial investors like ESI, not the bloggers who take a $10K flyer) for the client-base that comes along with the acquisition. I have used Lending club for a number of years. I’m getting better returns and didn’t get a letter like that. Odd…. I’ve been drawing down my account however as I don’t want a major balance with them once we go into the next recession (no idea when that will be). It could get ugly when the cycle turns. Thanks for sharing this information. 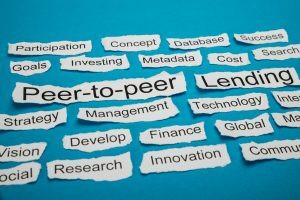 I currently do not have any money invested in Lending Club or any other P2P account. I am still doing research on this type of investing. I have never had to provide that type of identification to any major investment firms. I too would have found that shady. It sounds like you are doing the correct thing my emptying the account and moving on. Wow what a chain of emails! I’m sorry to hear about such a frustrating experience. I hope you have your money in a safe place now and won’t have to deal with something so disappointing anymore. I also am DONE with LC. I invested $15K about 5-7 years ago and got $10K back. Maybe I was just bad at picking the borrowers. So many loans went unpaid and were just charged off, just like that. Free money for the masses! I took out my measly leavings and said close my account. They said I had to fill out some paperwork to close it so I guess it’s still open. I am really fed up with them. I don’t know who is making money, it sure wasn’t me. What a story, and it really smelled a bit fishy like that. I’m not familiar with lending club (as a Dutchie), but they might feel something when others, like you, will stop with investing at LC. And probably hold back others that were thinking of joining in. With a lot of contracts I do have to send out my ‘government-issued photo ID’, but that’s also how regulations are set up here. Not sure if it helps, but i called the LC investor line and was told the ID request was due to anti-money laundering requirements. I don’t recall what I had to submit to Prosper when I applied, but did not get a request from them. Also — on the investments in Prosper and Lending Club. I use a company called lendingrobot to auto-invest for me. They charge a small fee for the service, but I have been happy with the results to date. I wonder why they wouldn’t just tell me that. It would have made things a lot simpler/clearer. True… which is why i called. I was NOT happy about the email content and wanted answers. I almost did the samething as you, but P2P is in my plan for creating future income streams. Granted, I have only been in for 12 months, but have had 9% at LC and 10% at Prosper so will continue. Why? These loans are not backed by any assets. Borrowers can walk at any time. Why not invest in asset backed loans with recourse? Pure guess here- LC is requiring Customer ID on accounts to comply with anti money laundering standards and the Bank Secrecy Act. They might only require ID on accounts in excess of $x. Actually, I think there may be something to this. It may center around Suspicious Activity Report filing requirements. If you’re looking like you might withdraw $10,000 or more, then that might explain the extra ID, maybe they didn’t have this in place at the beginning, etc. I haven’t been asked for extra ID, but I have less than $1,000 in notes. But, again, you’re right: Why so nebulous? Hmm..thanks for sharing. I haven’t gotten into P2P lending. But I see it at every PF site I go to. And lending club is typically the one that’s being touted. Thank you for sharing the other side of the coin. That’s odd. I’ve been earning over 9% for years. Although I did some research on how to find favorable loans. Jack- Can you share your expertise on picking “favorable” loans? Appreciate it. Also, a question for others whose return have been lower than they expected. Are you basing your return on LCs calculation of your returns on the main LC page, or are you calculating your return yourself? Just wondering if LC uses some funny method to boost reported returns. Any financial institute that thinks it’s cool to send an email request for sensitive information — with a quick turnaround date no less, would make me question their integrity. They should have sent a letter by regular mail way in advance of the deadline to introduce the new policy. Glad you’re cutting bait. I’ve put $60K with LC and it’s worth about $69K now, giving me a ~5.75% return, which I’m ok with as I see it also as a way to diversify. I’m less that thrilled by their behavior as a company though and if I was slightly less lazy I’d look for an alternative place that could add diversification with similar returns. I keep hearing the Rich Uncles ads on podcasts and am intrigued, but like you ESI, I want to see how the Real Estate crowdfunding scenario plays out a little longer (like a downturn). Yes, that’s right. Marketplace (P2P) lending did much better then the market did during the financial crisis. I’ve been using Lending Robot for almost 6 months (small sample size, I know) my LC account fluctuates between 9% and 11%. After reading this, I may just ride it out, not invest any more capital, and see how it performs over a longer time span. Early on, returns are high (mine were almost 10%: https://esimoney.com/my-entry-into-peer-to-peer-lending/), but then the defaults come and they cut returns down big-time. Any thoughts on Lending Robot? They charge 25bps for managed accounts >$5k. A(18.7%) B (12.9%) C(14.7%) D(21.5%) E(19.2%) F(10.4%) G(2.5%) total 606 notes. I never understood the fascination of index investors who claim they cannot pick stocks, but think they can properly evaluate risks to make loans. I didn’t have as much in Lending Club as you, but I’ve been with Lending Club for a few years now and in that time my returns have been anywhere from 8%-10%, with returns more recently closer to 8% after a bunch of defaults. I’ve been happy with the returns as far as they go, but I’ve been drawing down my account as well as I have similar questions about the company as of late. I never did get any requests for further ID though. Kind of strange. I’m late to the party on this one, but I’m at 1 year now with LC. I also stopped investing w/ them (a few months ago) due to the troubling news but primarily the just awful loans that were coming up. I agree that their standards have fallen despite their claims otherwise. I’m still above 8%, but I’m sure that will drop quite a bit over the next year. I too am done with LC. Various issues. 3i it seems as though the filters that I applied when selecting notes did not completely do what they said they would do. I was selecting notes manually, but was never fast enough to scoop up any decent ones….. LC recommended using Automated Investing to purchase notes as soon as they were posted. It only got me a boat load of poor quality borrowers. I have withdrawn $6k so far, and continue pulling money as it becomes available. I just hope that in the end, i get at least my investment back. I love Lendingclub. I was with them from the beginning, got the option to buy the IPO and everything, because I hated the bank so much. I love the idea that I can put my money to work; while on vacation, on a snow day, watching the kids playing sports, basically anywhere and anytime, especially, when I’m trying to kill time. My account had gotten too large for my comfort (without collateral). I’m in the process of reducing it back down to 5-8% of my overall portfolio. I am not sure if you will see this, but have you had good luck with Prosper now a year later? Would you still recommend it for diversification purposes? To be certain, I would have done the same regarding Lending Tree. That situation would have made me angry, and that is not a situation one want’s to be in with money. I’m done with them both. I basically decided I wanted out of this form of investing, started pulling the plug, and haven’t looked back. So Prosper “could” be a decent option, but I haven’t really evaluated it recently.